We love watching Hindi Bollywood(HQ, HD & Desi) movies and Video(or MP3) songs. We are fan of bollywood stars like Amitabh Bachchan, Vidya Balan, Shah Rukh Khan, Aamir Khan, Salman Khan, Priyanka Chopra, Akshay Kumar, Ranbir kapoor, Katrina Kaif & Rani Mukerji. We love ravishing bollywood actress and heroine like Kareena kapoor, Alia Bhatt, Sunny leone, Deepika Padukone & Anushka. We love this app and sure you will do. 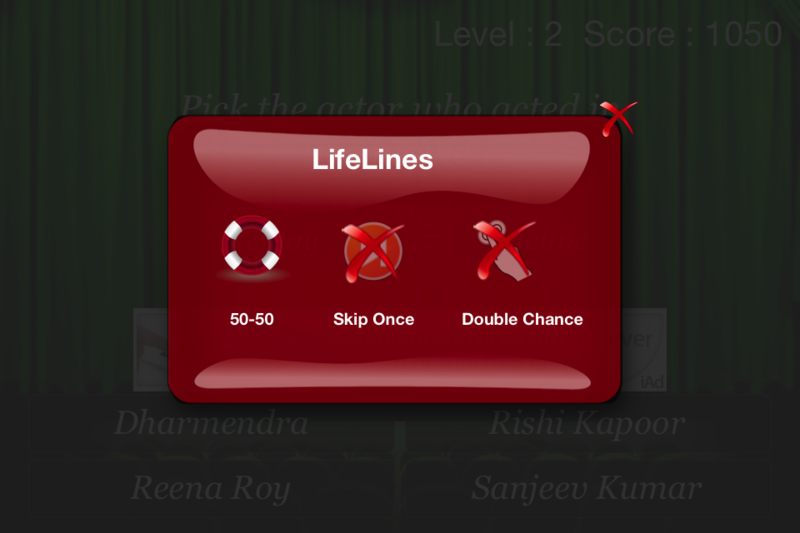 This romance filled game shows you an interesting bollywood movies clips and ask you a mind boggling question around movie name or stars or date of release or director etc depending upon the level at which you are playing. You have to answer that correctly out of four given options. 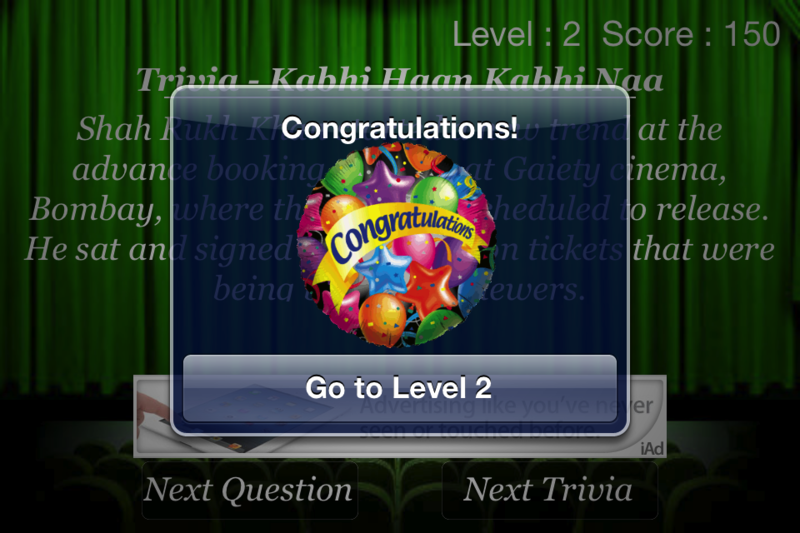 Every score leads you nearer to the next level which is more interesting and challenging. Not only this, you get to know funny and eye opening trivias and interesting facts about the movies and stars like Kajol, Rishi Kapoor, Hrithik Roshan, Saif Ali Khan, Anil Kapoor, Abhishek Bachchan, Asin which you would have never known otherwise. iAd banner is added to the application.